Our grandsons 1st birthday card, he has his birthday soon. He’s loves dinosaurs so the card just had to be done in that vein. Awww. So sweet. Happy Birthday to your grandson. 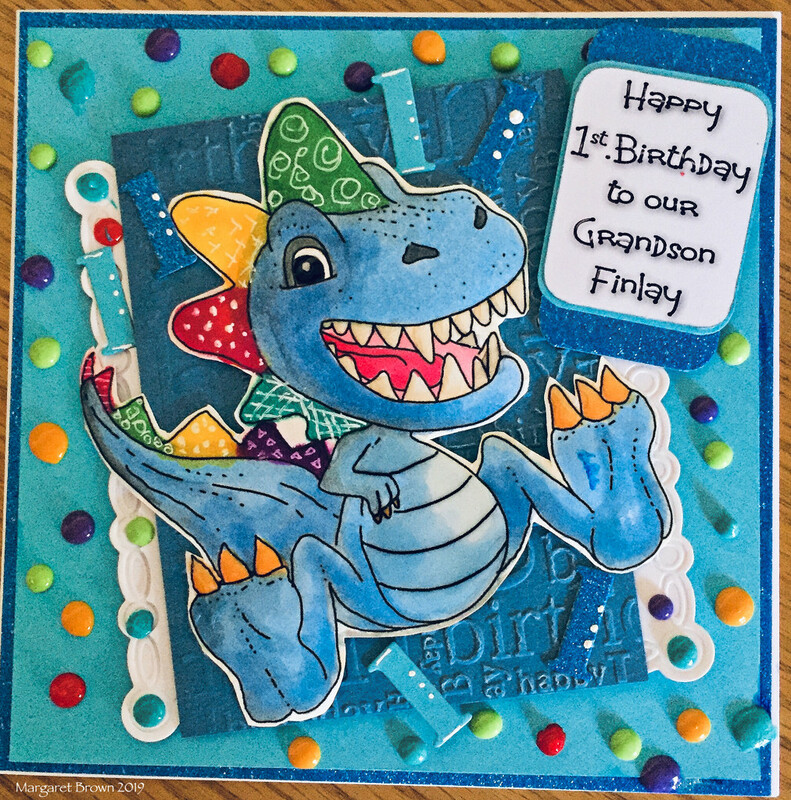 A wonderful card - I am sure your grandson will love it ! Very nice. I’ll bet he loved it. I would imagine this is one of your creations. So youthful. Love the colors and the dino! Terrific! Margaret could you rehit the fav button on my shot 'ReachingUp' as it hasn't registered. Happy birthday to Finlay. You always come up with a very artistic piece of work. Well done. Oh, he's going to love that card!